One primary aim as a charitable organization is to bring students closer to the natural environment and the food systems that sustain us. 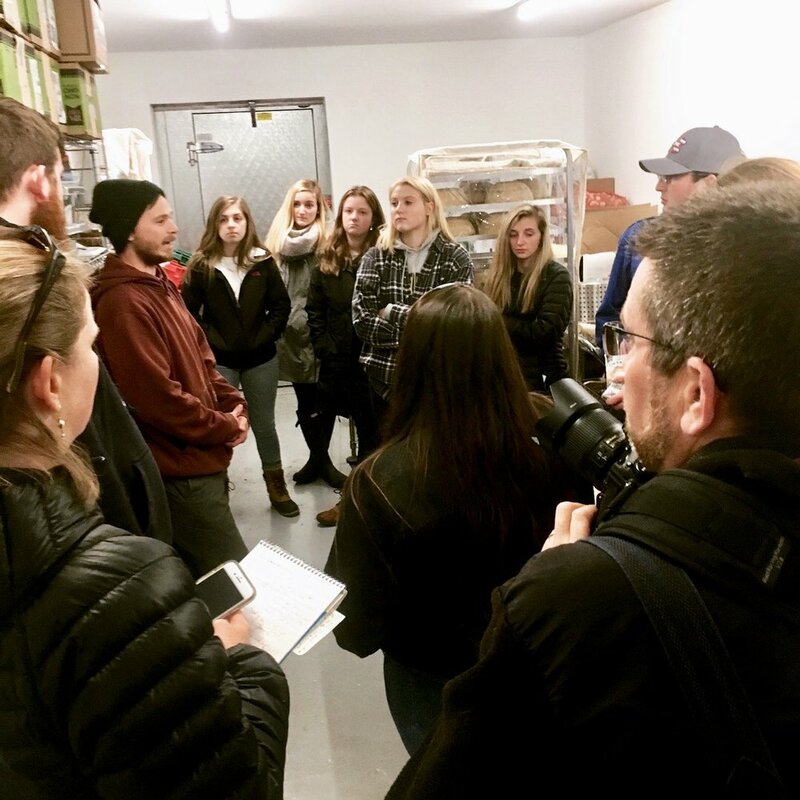 Providing hands-on experiences to augment classroom learning, our doors are always open for students to gain experience in the local agricultural system all along the supply chain, from growing to selling to eating local foods. We work with a variety of groups to offer a range of programs for students from pre-school age all the way to college level. Here are our current programs, and we also offer tours, field trips, and other ways to engage. Get in touch if you’d like to collaborate! The Silver Hill Farm Schoolers are a group learning and exploring right here in Bradford. Ages 3 to 10, these kids embarked on a journey into entrepreneurship and product development. They came up with their own product, Beeswax Wrap. They made the product, designed the logo, set the price, and began selling at Sweet Beet Market. The wrap has been a huge hit in the community! 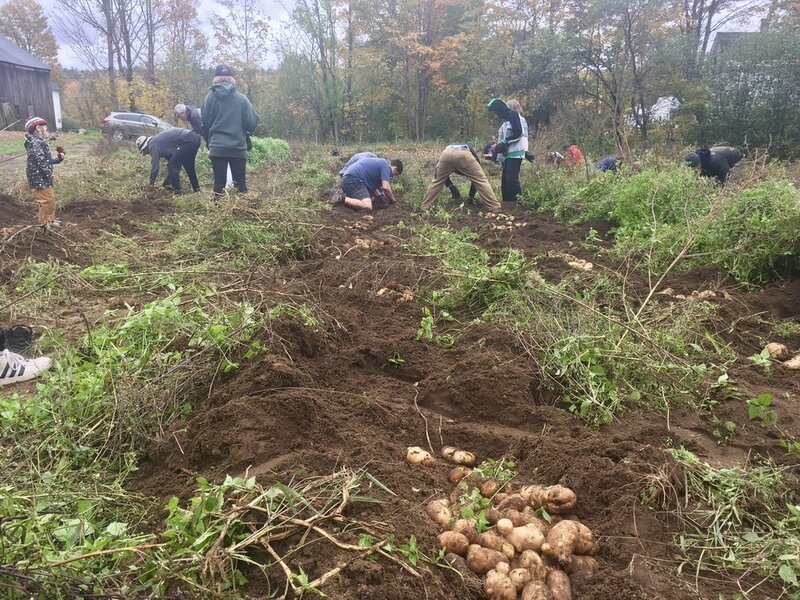 We really enjoy having student volunteers come spend time on the farm, whether it be with a school program or on their own to fulfill community service requirements. We have so far worked with KRHS in North Sutton, John Stark High School in Henniker, and the Parker Academy in Concord. Get in touch to find out how you could lend a hand! This is the program that started it all in our farm-based education department. We provide these kiddos with tangible, sensory experiences that relate to their Plants and Seeds science unit. They visit at the farm and we visit them in the classroom throughout the year to explore the life cycles of plants and where food comes from. We are thrilled to be working with a local library to combine the incredible community service they provide with educational programming at our operations. We will start with a couple programs including story time in the garden and an after school program on the farm. This is just the beginning of something wonderful! We have a rich partnership with local college Colby-Sawyer. Students come to the farm for a variety of experiences, including research and development of agricultural techniques, work days that count as homework for class, and tours of our operations to learn more about the local food system. We are very grateful to have this relationship, for mobilizing and engaging young adults is an important part of increasing food system and agricultural resilience. 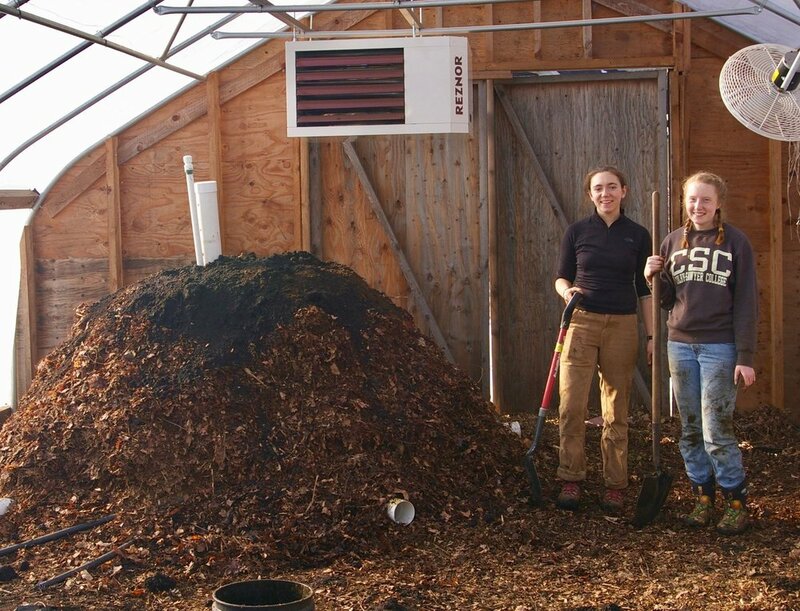 Colby-Sawyer College students experiment with compost as a source of heat for winter growing. 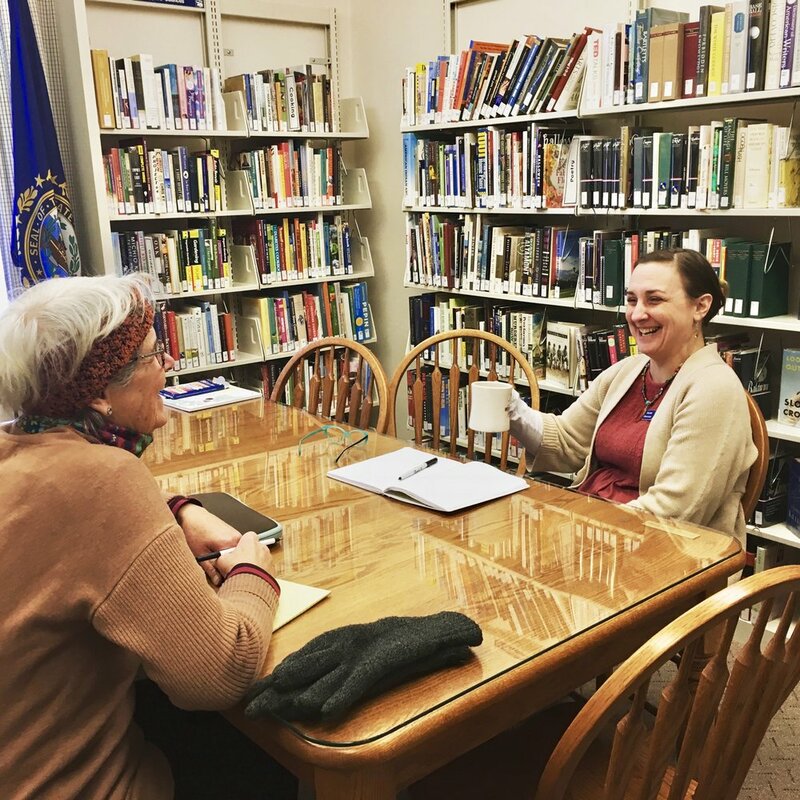 Meeting with the Newbury Library to plan collaboration! 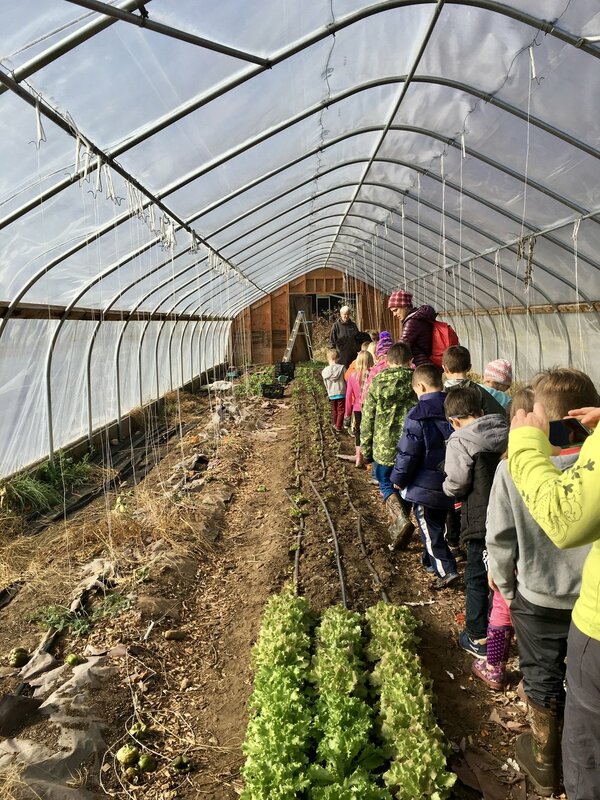 The first graders tour the greenhouse in late fall. Hub member Garrett gives a tour of our commercial kitchen to college students. As with all our of efforts, our educational outreach is constantly developing as we become more aware of the needs of our community. Get in touch to find out how we might learn and grow together!